Diploma program focuses on inquiry, research, and writing skills crucial for college and career success. Fountain Hills High School is one of approximately 1,000 approved schools worldwide to implement AP Capstone™—an innovative diploma program that allows students to develop the skills that matter most for college success: research, collaboration, and communication. The program consists of two courses taken in sequence: AP® Seminar and AP Research. 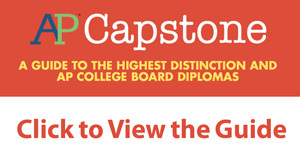 Developed in direct response to feedback from higher education faculty and college admission officers, AP Capstone complements the in-depth, subject-specific study of other Advanced Placement® courses and exams. Students who earn scores of 3 or higher on AP Seminar and AP Research assessments and on four additional AP Exams of their choosing will earn the AP Capstone Diploma™. This signifies their outstanding academic achievement and attainment of college-level academic and research skills. Students who earn scores of 3 or higher on both AP Seminar and AP Research assessments only (but not on four additional AP Exams) will earn the AP Seminar and Research Certificate™. The AP Seminar course, typically taken in 10th or 11th grade, equips students with the ability to look at real-world issues from multiple perspectives. Through a variety of materials—articles to research studies to foundational and philosophical texts— students tackle complex questions; understand and evaluate opposing viewpoints; interpret and synthesize information; and construct, communicate, and defend evidence-based arguments. Education, innovation, sustainability, and technology are examples of themes or topics covered in AP Seminar. However, teachers have the flexibility to choose subject content based on student interests, whether local, regional, national, or global. By tapping into students’ personal interests, AP Capstone gives students from a wide range of backgrounds an entry point into stimulating coursework more than ever before. Students are assessed through: a team project and presentation, an individual project and presentation, and an end-of-course written exam. In the subsequent AP Research course, students design, plan, and conduct a yearlong research-based investigation on a topic of individual interest, documenting their process with a portfolio. Students build on skills developed in the AP Seminar course by learning how to understand research methodology; employ ethical research practices; and collect, analyze, and synthesize information to build, present, and defend an argument. By responding to and partnering with the higher education community, the College Board developed AP Capstone so students can practice skills that will serve them well in college and career. Because the program is a result of feedback from education professionals, it is not surprising that several colleges and universities have confirmed their support of the program. 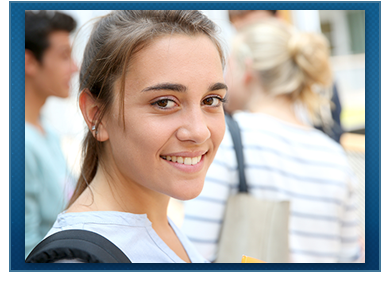 The College Board’s Advanced Placement Program® (AP®) enables willing and academically prepared students to pursue college-level studies—with the opportunity to earn college credit, advanced placement, or both—while still in high school. Through AP courses in 34 subjects, each culminating in a rigorous exam, students learn to think critically, construct solid arguments, and see many sides of an issue—skills that prepare them for college and beyond. Taking AP courses demonstrates to college admission officers that students have sought the most rigorous curriculum available to them, and research indicates that students who score a 3 or higher on an AP Exam typically experience greater academic success in college and are more likely to earn a college degree than non-AP students. Each AP teacher’s syllabus is evaluated and approved by faculty from some of the nation’s leading colleges and universities, and AP Exams are developed and scored by college faculty and experienced AP teachers. Most four-year colleges and universities in the United States grant credit, advanced placement, or both on the basis of successful AP Exam scores — more than 3,800 institutions worldwide annually receive AP scores. In the last decade AP participation and performance rates have nearly doubled. In May 2016, 2.6 million students representing more than 21,000 schools around the world, both public and nonpublic, took over 4.7 million AP Exams. The College Board is a mission-driven not-for-profit organization that connects students to college success and opportunity. Founded in 1900, the College Board was created to expand access to higher education. Today, the membership association is made up of over 6,000 of the world’s leading educational institutions and is dedicated to promoting excellence and equity in education. Each year, the College Board helps more than seven million students prepare for a successful transition to college through programs and services in college readiness and college success—including the SAT® and the Advanced Placement Program®. The organization also serves the education community through research and advocacy on behalf of students, educators, and schools. For further information, visit College Board's website.